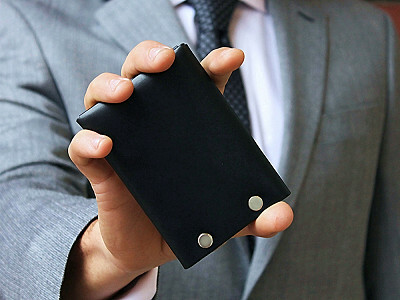 Even the finest leather wallets need to be replaced due to wear and tear on the seams. 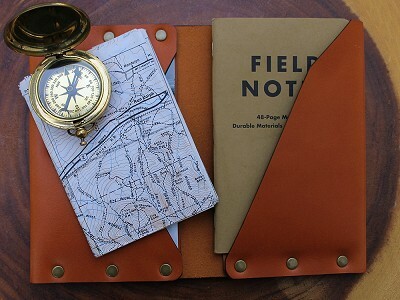 But with an American Bench Craft wallet, you may never need a new one again because there are no stitches to rip. Working with only a single cut of hide, these handsome wallets are folded into place, then securely hammered with rugged rivets. Made with premium quality, full-grain bridle leather that's tanned in Pennsylvania, then hand cut and crafted in Massachusetts, they're built to last a lifetime, not just a few years. The team at American Bench Craft is led by founders and brothers, Jason and Chris Angelini. Lead designer Jason is a National Guard reservist with a degree in mechanical engineering, while Chris manages operations and marketing. Together their mission is to make simple, durable products that create jobs right here in the USA. Depending on your style, there’s a choice of warm brown leather with gold fasteners or a steely black/silver combo. Either way, these Hammer Riveted Wallets soften with age to a gentle patina and are a sturdy, distinctive way to carry your essential cards and cash. Hi Everyone, this is Jason and Chris Angelini, brothers and cofounders of American Bench Craft. We are here today to answer any of your questions about our products. It's been our goal from the beginning to offer products of the highest quality and durability. To achieve this, our designs have a very specific focus on simplicity, which is the key to making our mission work. The finest materials coupled with dependable American craftsmanship, ensure that our products will last for years to come. It's a pleasure to share our vision with the Grommet community. Thanks! 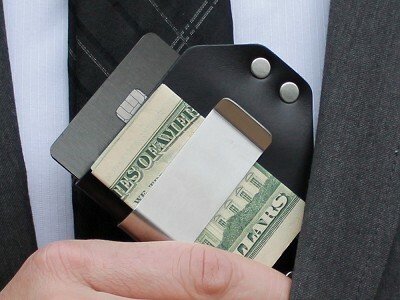 Nice looking wallet. I can tell it would last for years to come. But I'm concerned on capacity and how thick it would be when loaded. 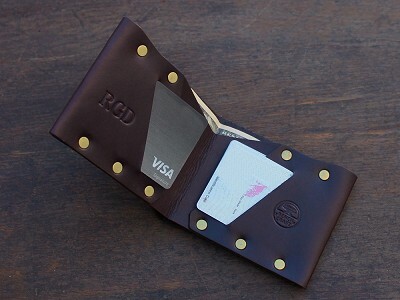 For example I have 10 cards and 22 bills in my wallet right now and it is a bifold and is 7/8 " thick with those items. I am not looking to get any fatter, but love the design. How thick with that much of a load would this wallet be once broken in? Hi Russell, thanks for the comment. 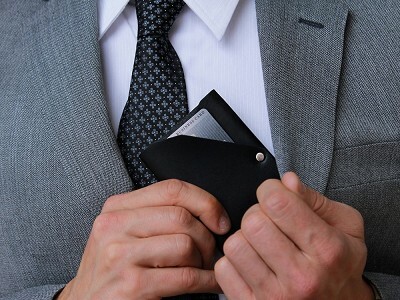 Below is a link to a youtube video that shows us loading up a significant amount of bills and cards...and the wallet still remains pretty slim. Hope this helps. @Chris & Jason : Looks like plenty of capacity. You show coins next to the wallet but there is no indication that the wallet holds coins. And, like Russell, want to know how many cards it will hold. Hi Michelle, the wallet does not hold coins. The video we posted above does a good job visualizing how much and what it can hold. I wanted to inquire as to the possibility of getting a custom made wallet! 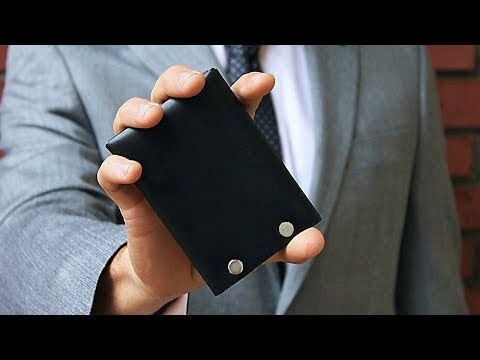 I am seeking a medium sized Trucker/Biker wallet with integrated split ring chain stay? I can provide a schematic of what I am looking for. Please advise as to the possibility of custom order. Chris/Jason, do you have or do you have plans to make a coin purse. I have a nice leather holder that is barely staying together. The leather is just falling apart. Your product looks like it would last much longer. Thanks for a reply. Hi Robert, right now we do not have a coin purse. We have experimented with a few ideas but have not come up with a solid design yet. Thanks for the comment. 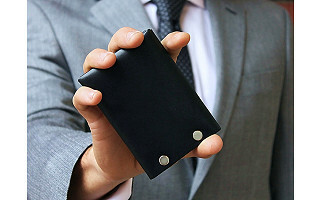 Even the finest leather wallets need to be replaced due to wear and tear on the seams. 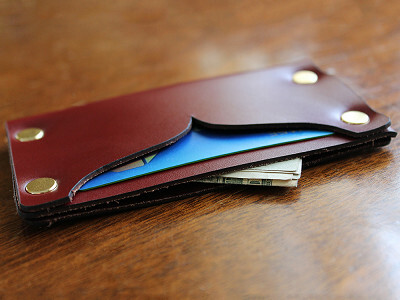 But with an American Bench Craft wallet, you may never need a new one again because there are no stitches to rip. Working with only a single cut of hide, these handsome wallets are folded into place, then securely hammered with rugged rivets. Made with premium quality, full-grain bridle leather that's tanned in Pennsylvania, then hand cut and crafted in Massachusetts, they're built to last a lifetime, not just a few years. The team at American Bench Craft is led by founders and brothers, Jason and Chris Angelini. Lead designer Jason is a National Guard reservist with a degree in mechanical engineering, while Chris manages operations and marketing. Together their mission is to make simple, durable products that create jobs right here in the USA.